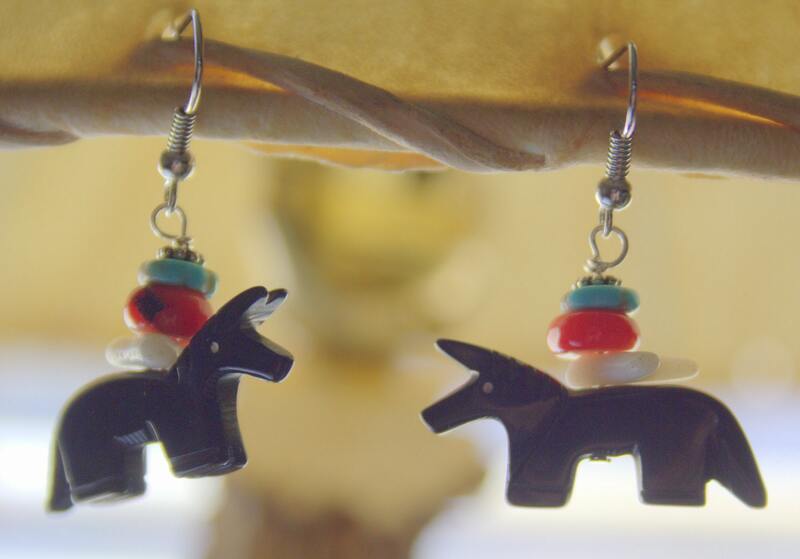 These little black horse earrings are carved from jet, a traditional stone used in Native American jewelry. They have detail lines carved in the manes and tails and have white eyes. 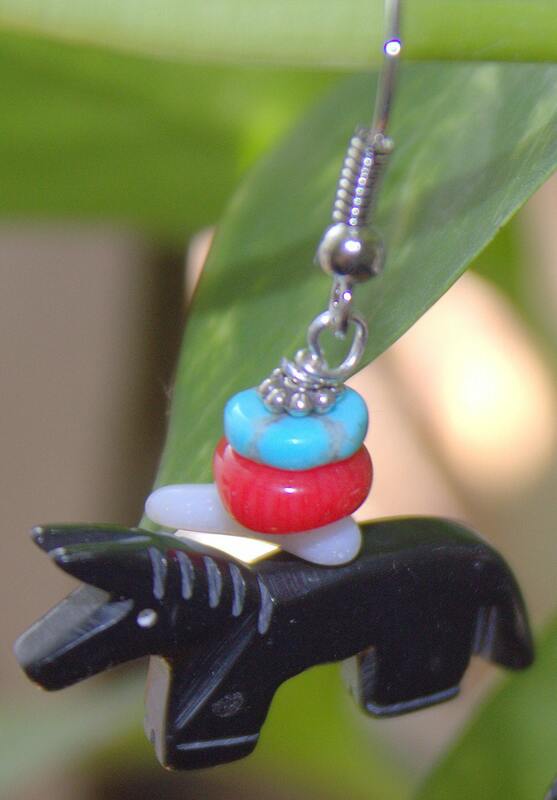 Their backs are adorned in southwest fashion with a bundle of red (coral), blue (turquoise) and white (coral branch). The bundle is topped with a Bali silver spacer bead and they are hung from French-style niobium ear wires. 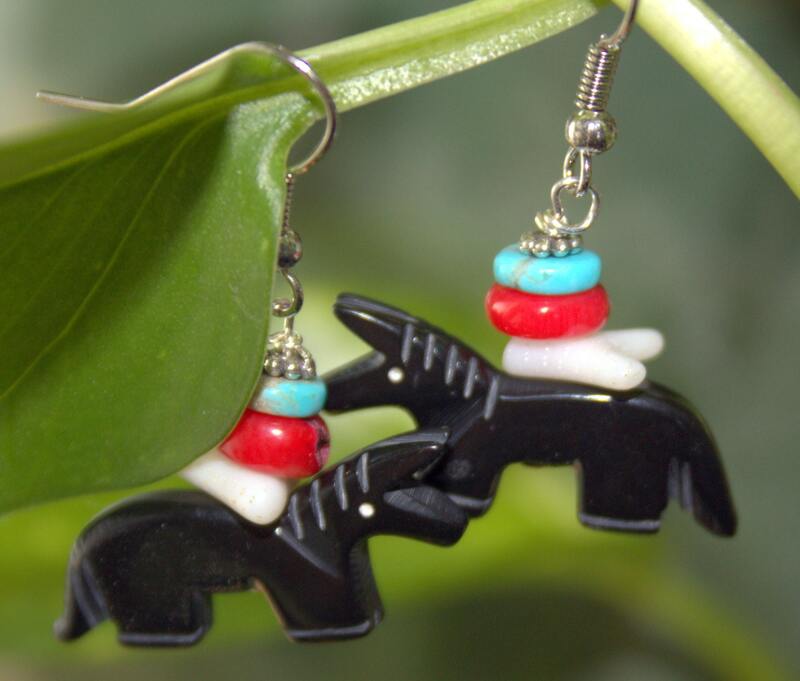 The earrings are 1 1/2 inches long and the horses are just under 1 inch long. These would go well with dressy or casual clothes.